The summer is passing quickly. It is hard to believe that it has been two months since our 2018 annual national conference, and many of you will be conducting Fall Camp for various sports within the next few weeks. Tragically, we have already had an athlete death that took place following a conditioning session, and we extend our deepest sympathies to all involved. Every strength and conditioning coach is encouraged to review the recommendations included in this article and make sure that everything possible is being done to ensure the health and safety of every athlete during all strength and conditioning training sessions. The health and safety of your athletes is your primary duty and concern as a strength and conditioning coach. Only hire strength and conditioning coaches with an NCCA accredited certification that is directly applicable to the strength and conditioning coaching profession—preferably the SCCC certification. NCAA legislation became effective August 1, 2015, requiring all Division I strength and conditioning coaches to be certified by an accredited strength and conditioning certification program. The SCCC not only meets this NCAA requirement, having obtained NCCA accreditation, but is considered by many to be the “gold standard” in certification for collegiate and professional-level strength and conditioning coaches. Do not use conditioning activities as punishment or discipline, as this could increase the risk of injury or sudden death. Strength and conditioning programs should only be utilized to improve and maximize athletic performance. Other appropriate disciplinary actions should be developed and implemented for athletes exhibiting unacceptable behavior or performance. Training programs should be based upon the conditioning level of each athlete and should take into account any potential medical limitations or restrictions. Transitional periods in which the athlete has been away from training for an extended period of time require special consideration. A written, progressive program of increasing volume, intensity, mode, and duration should be instituted and documented. Train the appropriate energy system(s) for each sport and allow sufficient time for recovery. A 1:4 work-to-rest ratio (with greater rest permissible) is recommended as a good starting point when conducting intense, serial activity during transitional periods. 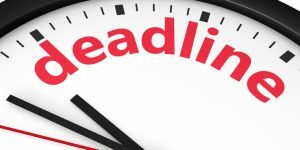 This time period in which athletes will be returning to campus to prepare for Fall Camp would definitely qualify as a transitional period – a time during which athletes are especially susceptible to harm and injury. (For additional information regarding the safe implementation of appropriate work-to-rest ratios, please refer to page 2 of the Inter-Association Task Force Best Practices and Recommendations document: Acclimatize Progressively for Utmost Safety.) Dr. Mike Iosia, Department Chair of Health, Exercise Science and Secondary Education at Lee University and member of the CSCCa Written Examination Committee, gave a presentation at the 2018 CSCCa National Conference regarding the use of high intensity training in strength and conditioning programs. This presentation, entitled “A Historical Scientific Exploration of High Intensity Training with College Athletes,” is also available on the CSCCa Website and provides important information regarding athlete safety. A fitness assessment/evaluation should be administered prior to the beginning of pre-season training to determine an athlete’s readiness to participate in all conditioning programs. The training program of athletes who do not meet minimum conditioning standards should be adjusted accordingly to allow appropriate physiological adaptation. Conditioning programs should be phased in gradually and progressively to allow the athlete to properly acclimate to minimize health and safety risks. Incoming freshman should be separated initially from returning players, or at the very least, provided a closely monitored, lower-intensity conditioning program to allow gradual physiological adaptation to occur if deemed necessary. This should also be applied to transfers and walk-ons, who may also be physically and mentally unprepared for the rigorous conditioning programs already in place for returning athletes. This practice will allow these athletes to safely reach the desired physical and mental level of conditioning while decreasing the likelihood of injury due to pushing beyond current physical and mental limitations. If any uncertainty exists regarding the pace of exercise progression for a specific athlete, the strength and conditioning coach is encouraged to work cooperatively with the University’s medical staff to develop a safe and effective program for that athlete. You are strongly encouraged to make sure an athletic trainer is present during conditioning sessions as an additional precaution. This is mandated by the NCAA for all voluntary conditioning sessions, but is highly recommended during all conditioning sessions, especially during the months of August and January when athletes are at a higher risk of injury or death due to non-catastrophic injuries. Strength and conditioning coaches, athletic trainers, and medical personnel should share in the responsibility of monitoring and protecting the athlete from the dangers of heat exhaustion, heat stroke, and rhabdomyolysis, as well as other medical problems and conditions. Any athlete observed to be experiencing undue distress should be immediately removed from the training environment, thoroughly evaluated by medical personnel, and given medical clearance before returning to the training session. All conditioning programs must appropriately manage all environmental risks, by providing adequate hydration replenishment, sufficient recovery time, appropriate and gradual heat and altitude acclimatization, etc. An Emergency Action Plan (EAP) must be in place for every strength and conditioning venue, specific to the venue, sport, and circumstances. This plan should be developed by the sports medicine staff with the input of all concerned parties and approved by the head team physician. In addition, all strength and conditioning personnel must be completely familiar with the EAP and able to implement it quickly and efficiently as those first few minutes are critical! Consequently, the EAP should be reviewed and rehearsed adequately to ensure proper assignment and execution of duties and responsibilities in the event the plan must be implemented. Maintain up-to-date certifications in First Aid, CPR, and AED and be ready and able to administer these skills quickly and competently. An athlete’s life may very well depend upon it! Always use good judgment and be prepared to defend and justify your program! Base your program design upon periodization concepts and other solid, scientific principles, and implement your program with the health and safety of the athlete as your primary concern. Maintain complete records documenting your program and your appropriate variations in volume, load, and intensity. 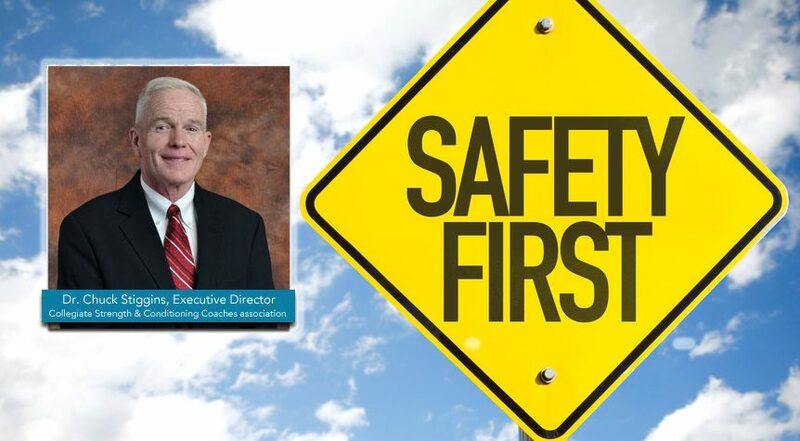 The above information is provided to help you protect the health and safety of your athletes and to protect yourself, your program, and your University. One athlete death is too many. Be pro-active in ensuring the health and safety of every athlete during every aspect of your program. Ron Courson, Head Athletic Trainer at the University of Georgia, gave an outstanding educational presentation at the 2017 CSCCa National Conference on rhabdomyolysis. This presentation is posted to the CSCCa website under “Educational Resources.” You and your entire strength and conditioning staff are strongly encouraged to review this information and make sure you understand the signs and symptoms of this phenomenon as well as how to prevent it. 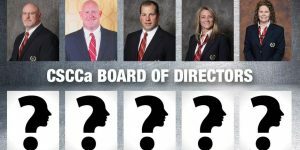 The CSCCa Board of Directors and I wish you the very best as you prepare for the upcoming school year and for the accompanying athletic competitions! The CSCCa is your organization and is dedicated to your success and professional development. Please contact the National Office with any questions or concerns regarding this and all other matters and enjoy the remainder of the summer.